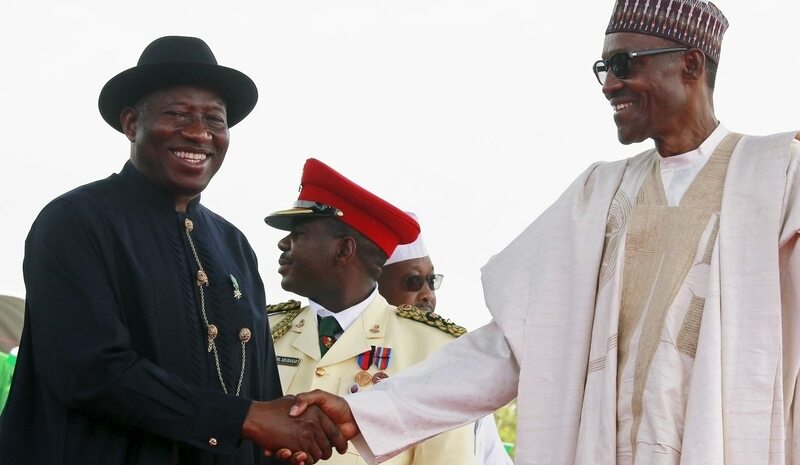 In 2015, Nigeria experienced its own peaceful transition. Africa’s most populous nation had never experienced an orderly, democratic change of ruling party before – a sorry state of affairs which goes a long way towards explaining why this African giant developed so slowly. But before Buhari could take power, President Goodluck Jonathan had to accept defeat. By SIMON ALLISON. In 1993, the Nobel Peace Prize was controversially shared between Nelson Mandela and FW De Klerk. Mandela, a prophet of reconciliation on the brink of destroying the apartheid regime, was an obvious choice. But FW De Klerk was the president of that regime. He was the bad guy, surely? The Nobel Prize Committee didn’t see it that way. They recognised that the peaceful transition, for which South Africa was being lauded, needed compromise from two sides. Mandela needed to take power peacefully, and, equally important, De Klerk needed to cede power peacefully. De Klerk, for all his many flaws, could have orchestrated a far bloodier end to white rule. He chose not to, and in doing so saved many, many lives, making him, many agreed, a worthy recipient of the award alongside Mandela. In 2015, Nigeria experienced its own peaceful transition. Africa’s most populous nation had never experienced an orderly, democratic change of ruling party before – a sorry state of affairs which goes a long way towards explaining why has this African giant developed so slowly. “It was, despite the disruptive efforts of a few, a very ordinary thing: a peaceful, modern, well-monitored, uncontestable transfer of power… A casual precedent that should echo round the region,” said the BBC’s Andrew Harding. Like in South Africa, this momentous, precedent-setting handover of power required both a taker and a giver. Even though neither is perfect, the leaders who oversaw this handover deserve our recognition. The man who took power, Muhammadu Buhari, has been here before, of course. He was a military ruler in the 1980s, which makes him an unlikely poster boy for Nigeria’s democratic renaissance. Except that his transformation mirrors Nigeria’s own: from successive dictatorships to a de facto one party state to a plural democracy. A key campaign message for Buhari is that he has changed, and it’s undeniable that Nigeria has too. “But whatever happens, Nigeria will never be the same again. Something has changed in the psyche of the Nigerian citizen. For the first time since independence in 1960, Nigerians have defenestrated a sitting president. The masses now realise the tremendous might they can wield when they act collectively. It is a lesson that will embolden them. The era when Nigeria’s rulers could take the people for granted is no more,” said Remi Adekoya in the Guardian. Buhari’s biggest achievement was to unite the traditionally fragmented opposition into a coalition capable of taking on the People’s Democratic Party (PDP), which has won every election since 1999. Copying the PDP’s playbook, his All Progressives Congress worked hard to rise above the country’s traditional geographic, religious and ethnic faultliness, and its simple message of ‘change’ resonated with a population who were fed up with the stagnant status quo. In fact, it resonated so strongly that when the final tally of the votes was released in April, the challengers had won by more than two million votes. The lesson here is powerful, and applicable far beyond Nigeria’s borders: with organisation, a clear ideology, and strong leadership, change is possible – even when the resources and machinery of the state always operate to advantage the incumbent. Insider reports say that Jonathan expected to win the 2015 vote, right up to the moment when the electoral maths meant it was impossible to do so. Even then, he still had options. Some of his supporters said he should sit tight and go down the legal route: an electoral fraud case could take years to work its way through the legal system, and he could refuse to step down until it was concluded. Other, darker elements said he should use violence to get his way instead: after all, he controlled the police and the army. These voices would have been hard to ignore, because everyone in Jonathan’s camp was fighting for their political (and even financial) futures. Instead, Jonathan did something unexpected. He picked up the phone. He didn’t get through on his first attempt, because the lines were so busy, but eventually he got through to Buhari. The conversation was brief. Jonathan: In a few days, find time to come so that we can sort out how to plan the transitional period.